Let’s visit one of our yard through Virtual Tour where you can explore every nook and corner of the yard to visualize our set-up in an appropriate way.The environment of these yards is well-managed and fully secured where your possessions are stored in complete safety. 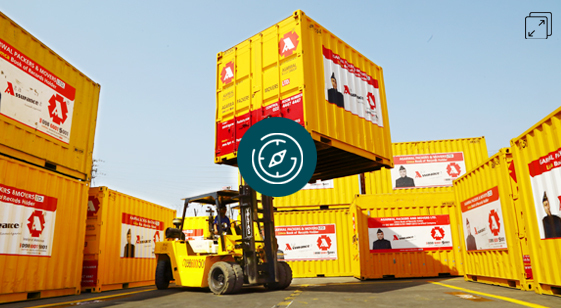 Here, is the 360 virtual tour of one of our Mumbai yard which is an example of our vast set-up in an organized manner. All of our yards meet the international standards and secure enough to store your consignment safely.